After we get a call from our client, we ask a few key qualifying questions. This helps to establish the needs, wants, and desires for the piece of custom furniture we are about to design and fabricate. Greg then starts by sketching out the first ideas for the custom furniture. For this example we will follow the Design Process for the Thurstan Buffet. By quickly drawing out design ideas, Greg can flush out the size, look, and feel of his custom furniture. The sketches may include the sizing, materials including the proposed types of wood and/or metal, the accessories, and the overall design of the piece. After the sketch and design is completed and approved, the materials are decided on. Depending on the room type, size, and other design elements, Greg will choose the appropriate materials to complement and enhance the piece to create something that is truly unique. The material choice can be anything from reclaimed lumber to crotched mahogany, from steel to copper and anything in between. For the Thurstan Buffet, Greg chose cherry wood and steel pull handles and hinges. After the materials are chosen and collected, it is time for construction. Greg uses a large variety of tools including hand tools and power tools. 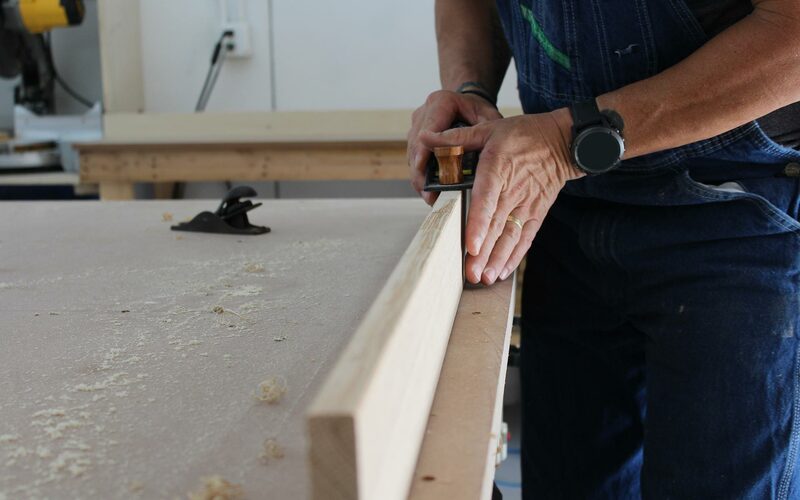 His workshop is equipped to build any size of project big or small and your custom furniture will be handcrafted with care, artistic flair and design, and quality. Your finished piece will be handcrafted and finished with care and ready to be installed in your home. Custom Furniture is a great way to have something in your home that fits in just that right spot or complements your unique design sense or if you just want something that nobody else has. Greg can design and create any kind of custom furniture you will need in your home, office, or any other setting.